Wind chill is one of those bits of information I’m never really sure what to do with. Whenever I’m even paying attention to it at all, I’m already cold as hell, so that’s that, right? But for your car, it’s a different story. Cars deal with all kinds of moving air, like, you know, wind, and wind chill is absolutely a factor in how it gets up to temperature. I’ll let Team O’Neil Rally School explain, because they did. Here’s the key thing to think about: when your car is moving through air that’s, say, zero degrees Fahrenheit at 60 miles an hour, the effective wind chill is -33 degrees. Now, this doesn’t mean the car and all of its cold, cold metal bits will drop to -33 degrees— the temperature is still just zero degrees, but the the warm parts of your car will drop to zero degrees as fast as it would if it was actually -33 degrees. 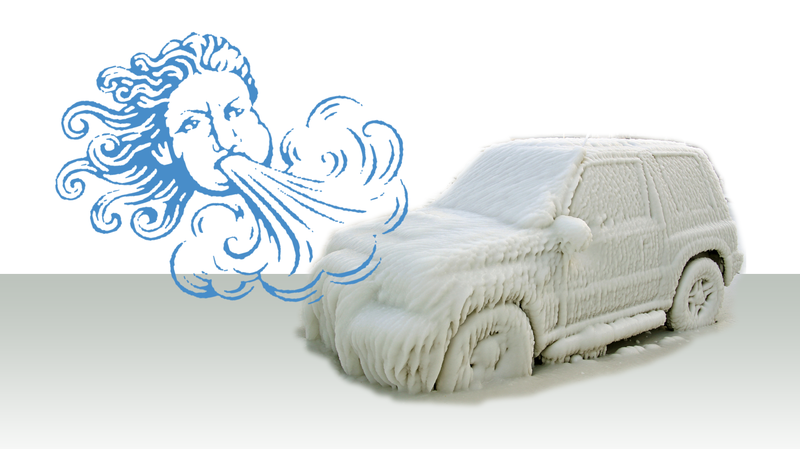 So, what you should be aware of with wind chill and your car is that it’s a factor affecting how long it will take your car to get to operating temperature. As always, I believe in taking it easy on your car in winter. Because everything hurts more when it’s cold.